I will keep you updated on a Basel 2009 novelties the next coming days, both here and on our partner site, Perpetuelle.com. The company that keeps their secrets very well, is – of course – Rolex. Too many people their introduction at BaselWorld 2009 today will be a bit of a disappoint perhaps, but to me, it is great to hear that they keep things as they were 🙂 With a few exceptions of course, like the new lady’s Daytona. 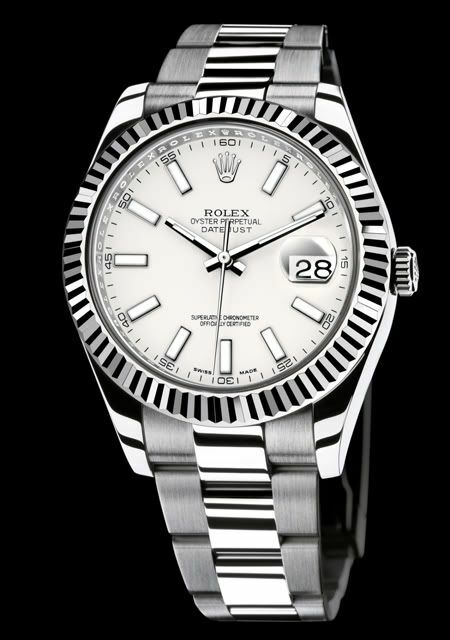 The new update on the DateJust (being called DateJust II on various forums) has been done very nicely in my opinion (except that the diameter of 41mm might be a bit big). They have their lessons learned from the introduction of the Day-Date II last year. Other Rolex news is that the white gold Submariner will become available in rolesor as well this year, which means gold/steel combination. The Rolex Explorer II (both black and white dial) and Explorer are still in production. Same goes for the Submariner LV (green bezel). There was a lot of rumour going on about these models being discontinued or not. Other news from the Rolex family is a bit more surprising! Tudor presented their partnership with Porsche Motorsport. A number of Tudor watches now feature ‘GranTour’ on the dial. Click here for the BaselWorld 2009 scoops on Perpetuelle.com.